It was a beautiful Sunday morning in May. The sky was blue, the clouds were fluffy and white—all the makings of a perfect day for a session. As the day went on, the weather shifted and the sky became more ominous. It became very clear that we had two choices: reschedule the session (for the second time) or embrace the rain. We decided to take our chances and I am so glad we did! 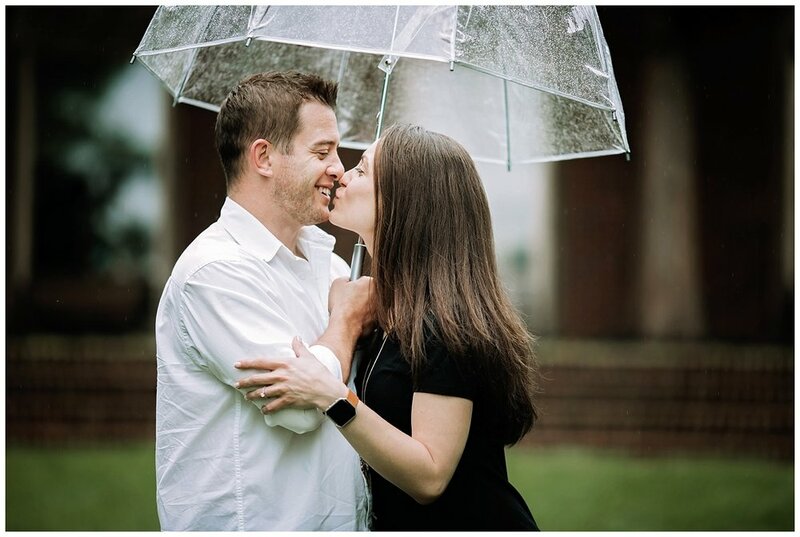 I quickly gathered my equipment and an umbrella and ran (literally) out the door to make the 45-minute haul to Bethlehem to meet Joe and Sara for their engagement session. 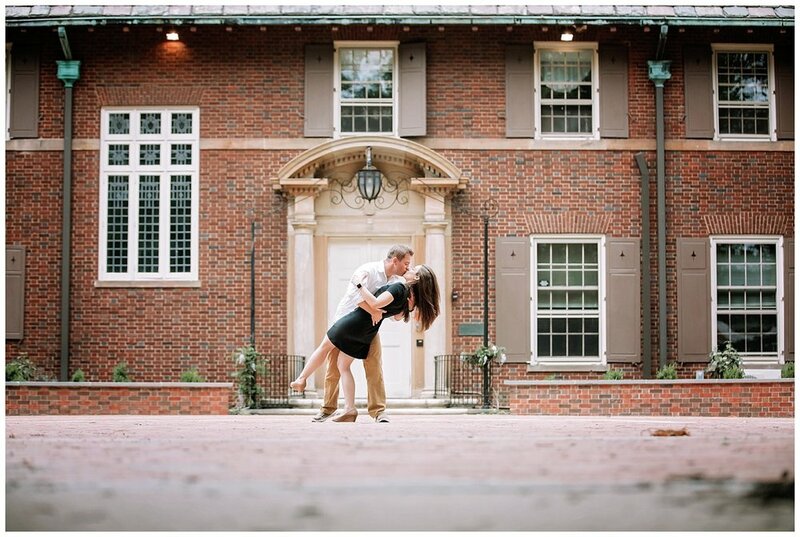 As we started to shoot, we began to peel back the layers of emotion, revealing the beautiful connection that Sara and Joey have. I just love when a couple can forget I am there and truly be present, connected, and authentic with one another. It wasn’t long before the rain found us. The set of images captured during that drizzle are my absolute favorite. 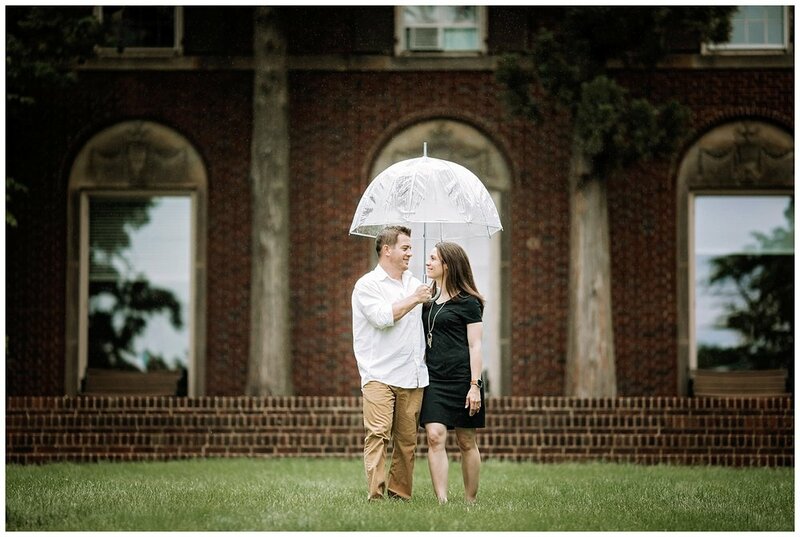 I am so thankful Sara and Joe were willing to keep going through the rain, huddled up under that tiny umbrella.